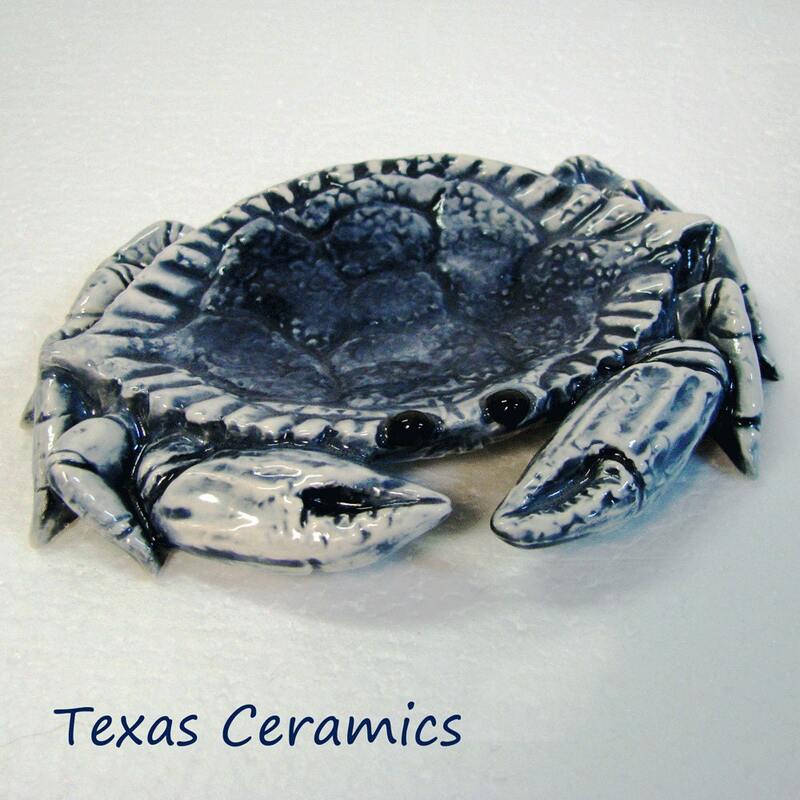 This ceramic crab can be used as a Tea Bag Holder, a small spoon rest, desk catch all or nautical decor or place setting accent. The crab is also the zodiac or astrological star sign of Cancer. 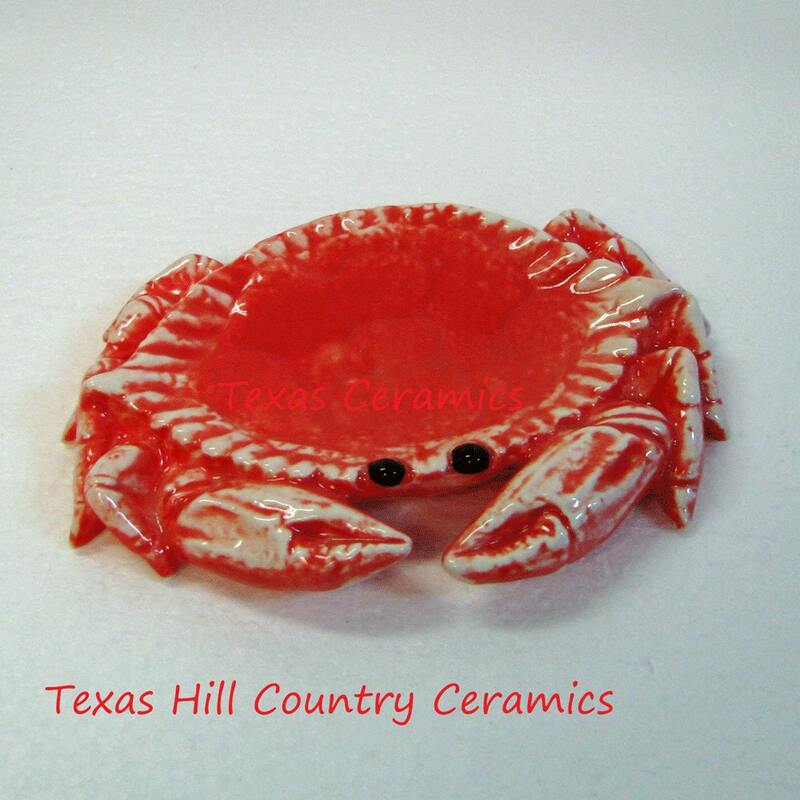 The crab is available in coral red or marine blue. This crab is part of a "Nautical" collection available. Also makes a great gift for those born under the astrological sign of Cancer. 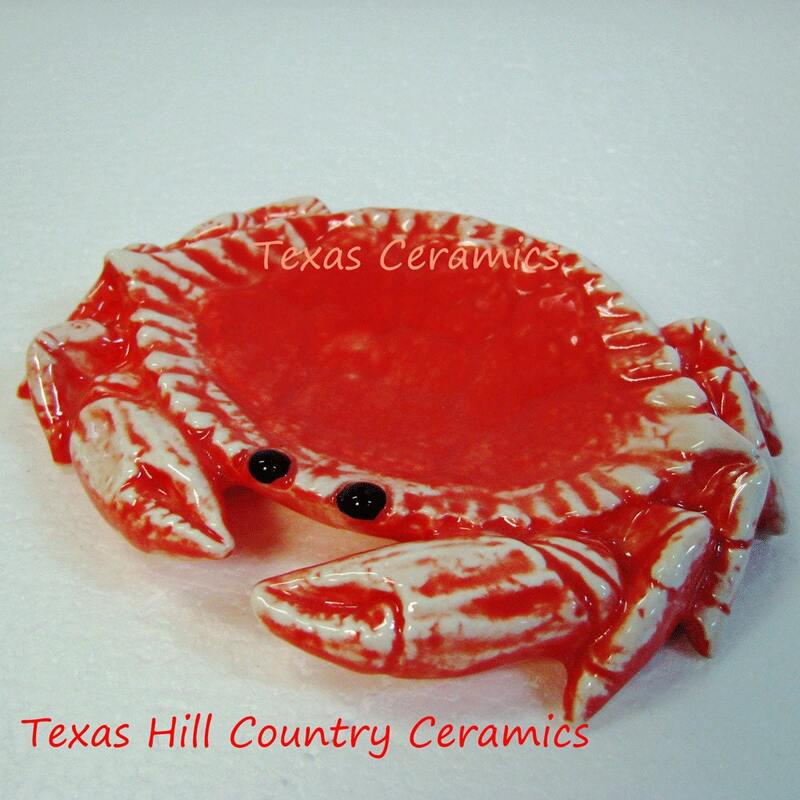 This ceramic crab is cast from a ceramic mold for detail and uniformity with clay slip and kiln fired to a bisque state. It is finished with a non-toxic coral red underglaze and glaze and fired in the kiln a second time. 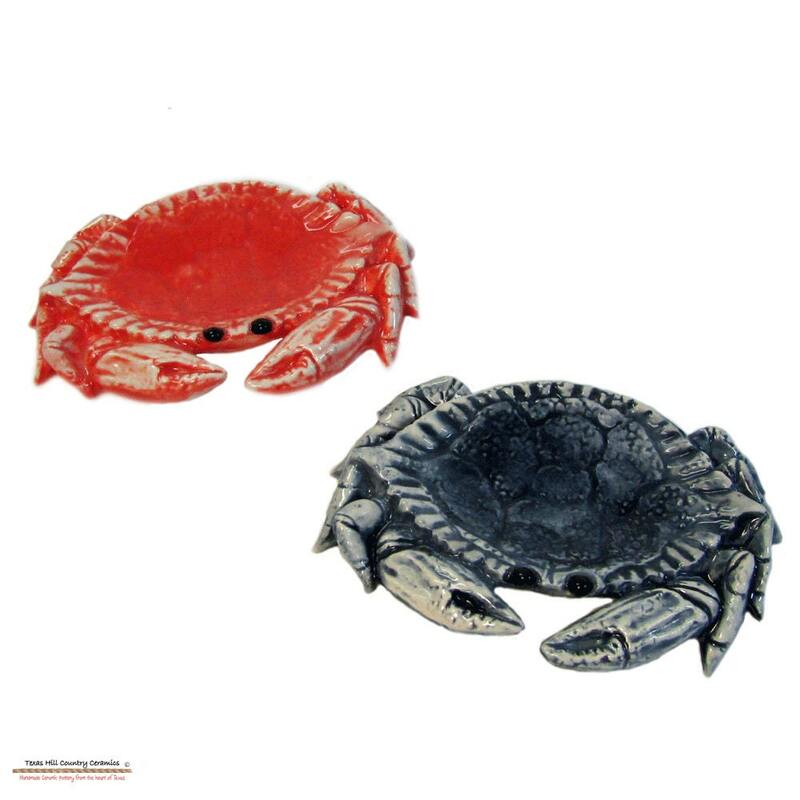 The crab is dishwasher & food safe and the colors or design will not wash off, fade or peel. Shipped quickly, item as described and super cute! A little dark in color, but has a perfect, large, dip for the spoon and teabag. Sturdy, well made, packaged safely, and was very well loved by my mom, who collects crabs, who described it as being "super cute"!